So you have your 3D printer, the first things on your mind is going to be what are you going to print? The are two routes for you. You can either create your own 3D models using various sources of online or desktop 3D modelling / CAD software packages or you can simply download model files that somebody else has already created. These repositories of 3D printable files also have another purpose. When you start to get to grips with designing your own 3D models you can upload and share them via these repositories, you can even sell them and perhaps make some extra cash. One thing to remember about the files that you download is that they are still offered under license, at the very least a creative commons license with attribution. You will not be able to use the model files to produce commercially saleable items. As an introduction we thought we would put together this list of online 3D printable model file resources, its not going to be exhaustive so if you have any further suggestions please get in touch with iDig3Dprinting or leave a comment. 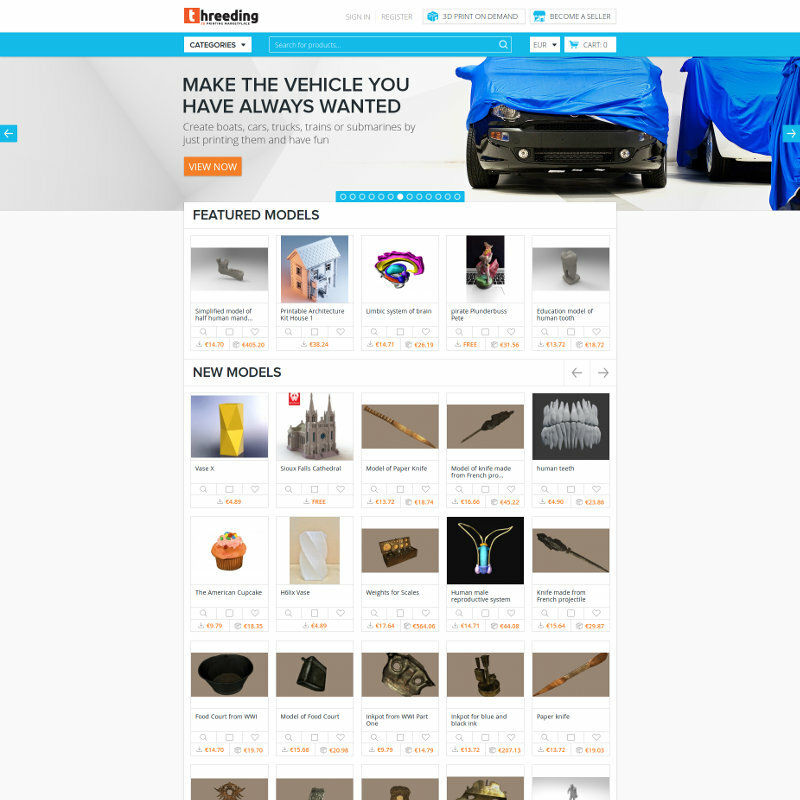 Probably the best known, and arguably the most comprehensive is Thingiverse. 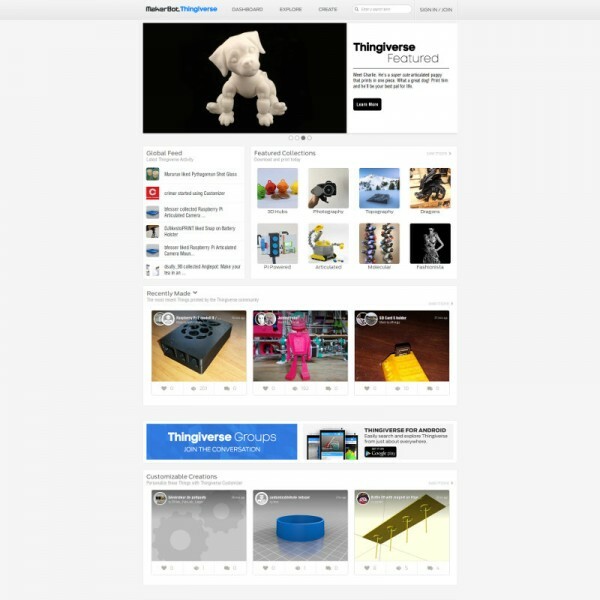 Thingiverse is owned and run by Makerbot 3D printers. One of the great things about Thingiverse is that you don’t need to create an account to download files. It makes it very user friendly in that sense. It is also very active, there is a lot of public participation, lots of new files and lots of models going on to be developed further. If you want to create an account you can and this allows you to then add your own models and also to join in the Thingiverse community. You can browse or search items and there is even an app. My Mini Factory is owned by iMakr.com, a 3D printer online retailer. 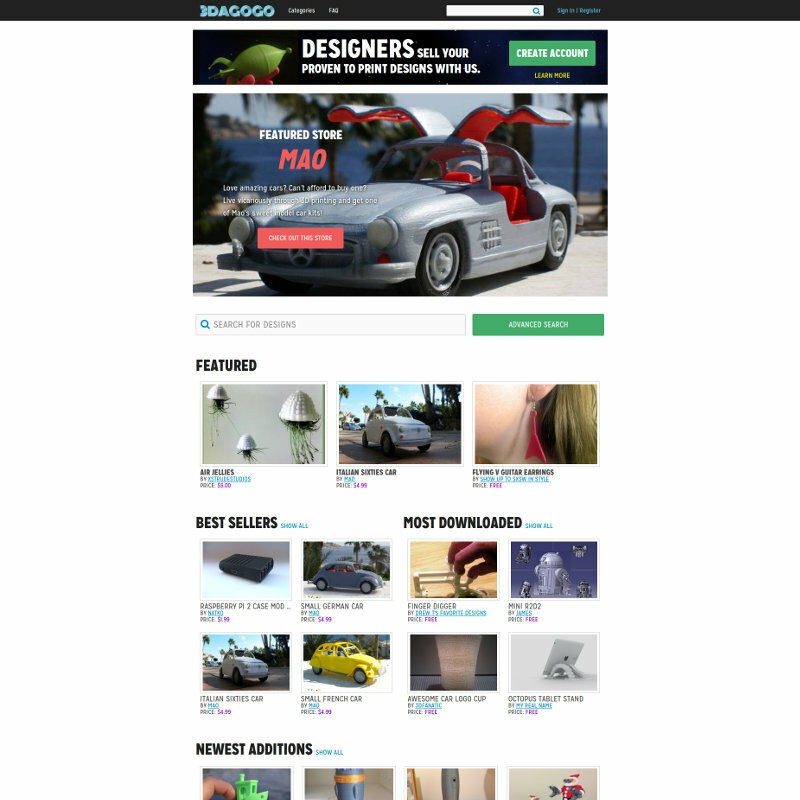 They also have a very large repository of 3D printable files, which are also free. MyMiniFactory also offer the ability to order models as 3D printed objects, for which they charge money, and for designers they are suggesting that they will be able to earn money based upon the number of times their models are downloaded. You have to register for an account at MyMiniFactory. One advantage of MyMiniFactory is that they say all their models are tested on “affordable 3D Printers”, so you should be able to have more confidence that they are going to work. Threeding is similar to MyMiniFactory, in the sense that, 1. you need to register to download files and 2. you can get printed versions of the models for a price. However it does differ from MyMiniFactory in that you can be charged to download some model files, this is at the discretion of the model designer. Threeding also have an app. As usual you can browse their catalogue or search, they also have a category call “Weapons & Shells” which sounds a bit ominous. Tinkerine is an interesting repository. It doesn’t have many 3D printables but what it does have are interesting and they are all free. You do have to create an account to download them then, essentially purchase them for £0.00. 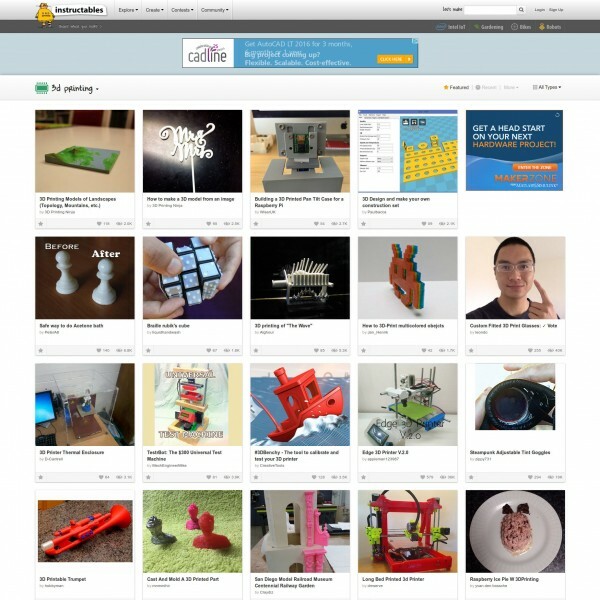 The emphasis for Tinkerine is learning, its trying to supply educational projects and they do look interesting. There are also lesson plans and tutorials. Its fully curated in that the models have been tested. The projects that they currently have are engineering type projects, mainly building vehicles like a hovercraft. Its definitely worth a look if you want to build a more involved project. Cubify’s offering is worth a mention. Cubify is the brand face of 3D systems 3D printers. They have their “Mancave“? We have now idea why they decided to call it this as I am sure that women can use 3D printers as well. 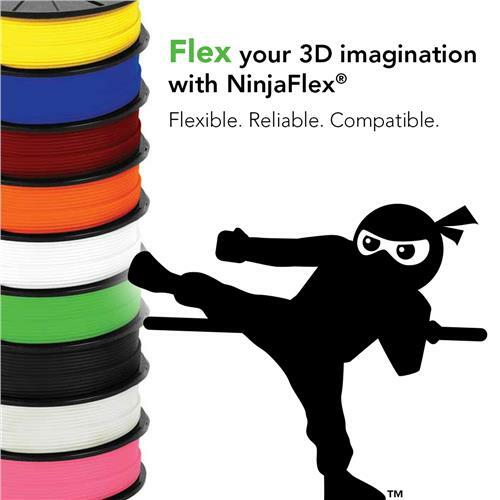 But ignoring the unfortunate name they do have some interesting 3D printables. 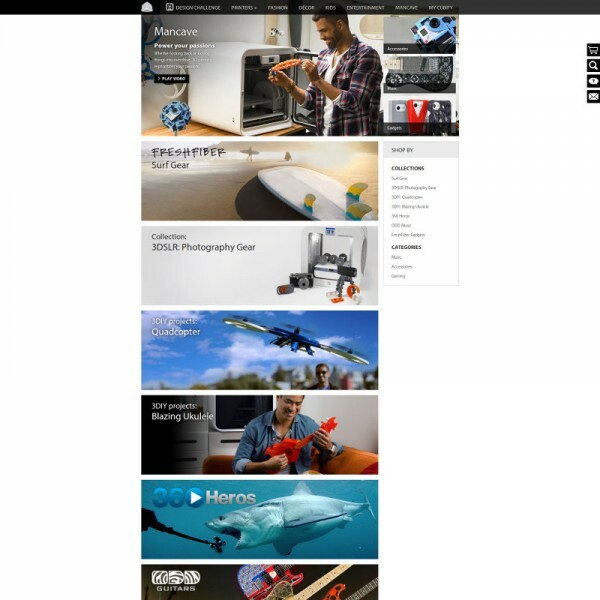 You will have to create an account, as with most, but its worth a look as they have some good designs, we like their Ukulele which we are going to put up on iDig3Dprintings gathering of interesting 3D printing models, soon. 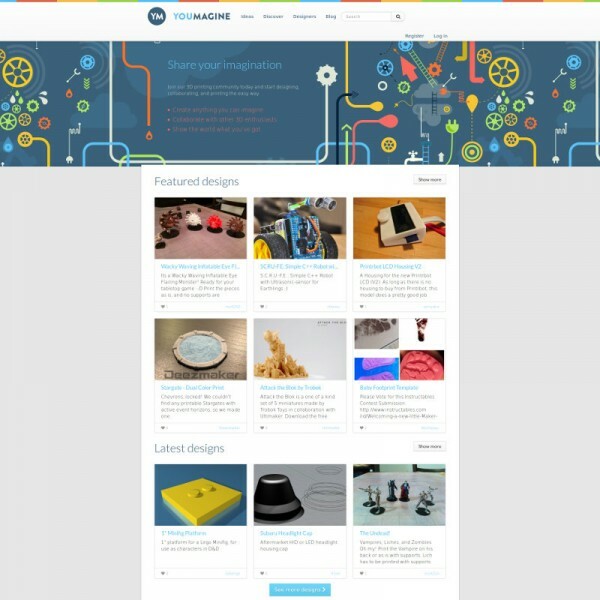 There is not the same level of selection available from the open file sharing sites like Thingiverse, MyMiniFactory or Threeding but its worth keeping it in mind and some of the projects look quite interesting. 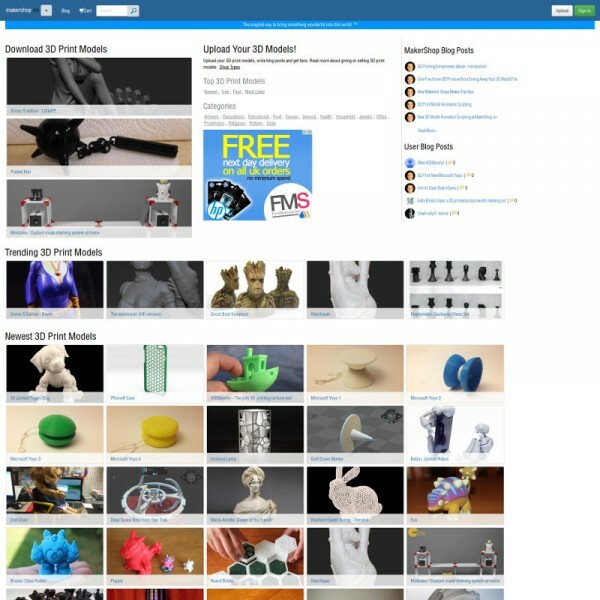 This is another file sharing repository for 3D printable files. Most of their files are free although designers can charge for their files. You don’t need an account, you have to enter your email address on checkout. 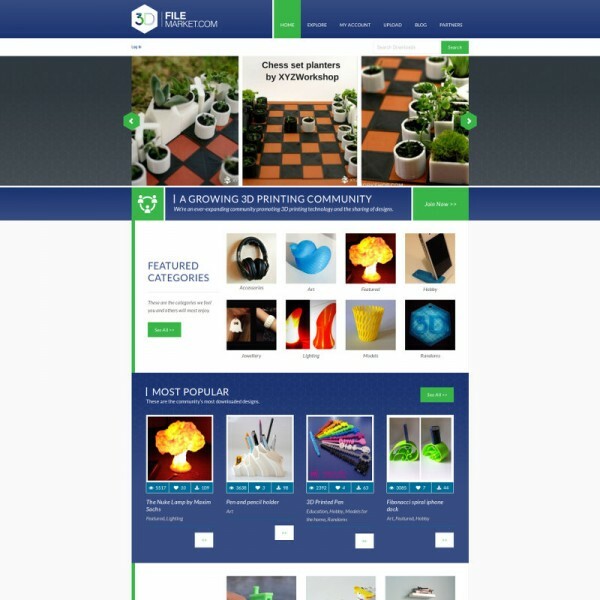 Their ethos is “We are totally independent of any major 3dprinting companies and you wont find the 3dfilemarket.com trying to sell you printers or other products, we are purely about promoting good 3dprinted digital design”. They say that all files have been checked and that the files that are uploaded need to be accompanied by a photo of the printed model as proof that it can be printed. Makershop is another 3D printer file sharing website, some of the files we notice are taken from other sites, like Thingiverse. This may suggest that it is not as actively participated with as some other repositories. Files are free or chargeable, depending upon the designer. But no account is necessary to download free files. 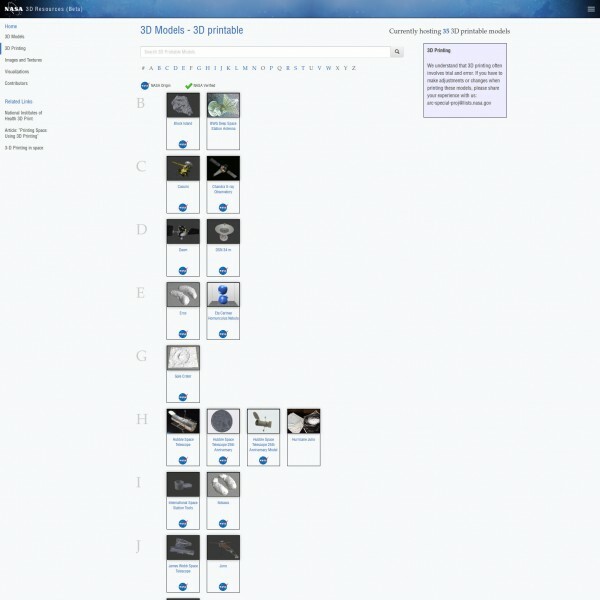 This is a 3D printer file sharing website that appears to be set up by Ultimaker (?). Files are easily downloaded, you don’t need an account and are free. The basic principle is the same as Thingiverse but this seems to be in earlier stages of development. On the website they say that “At YouMagine you can print existing designs, but we’d love for you to give designing a try yourself. With our easy design tool that will be available soon, creating your ideas becomes a piece of cake”. 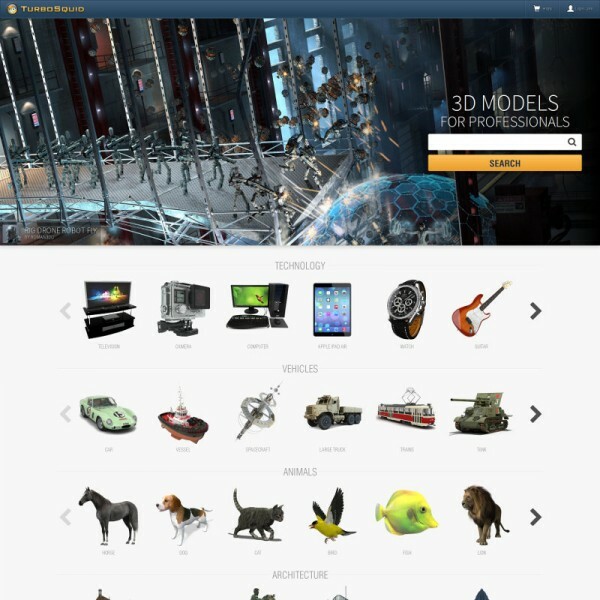 And so they hint at the future development of an online tool for creating 3D models. 3DAGOGO is another file sharing site with their eyes firmly set on the sale of designs, a market place for 3D designers. But saying that a lot of designs are free. We also liked the fact that there is a section, for each model, that gives details the print requirements. This is not always made so obvious on all sites although we don’t necessarily say that this information is always filled in. Because this is really set up as a market place the designs do not appear to operate under a creative commons license so check the license agreement for your design. 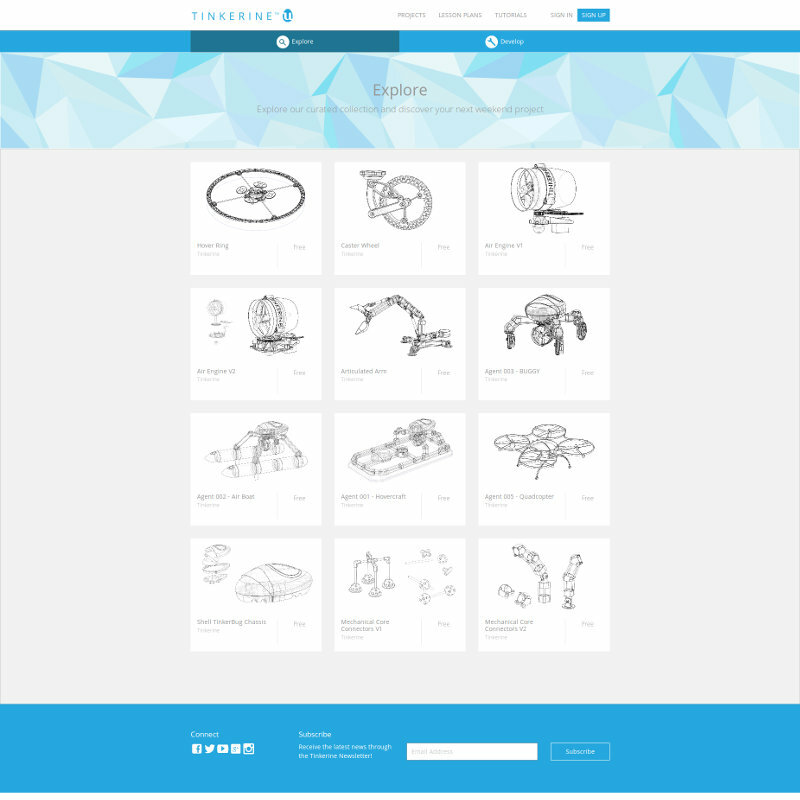 Turbosquid is not strictly a 3D printer model file sharing site, more of a 3D model file sharing website but within its broad collection of file types are .OBJ and .STL files that can be used for 3D printing and I dare say some other file types are certainly capable of being converted. Because of Turbosquids different target audience it is worth noting as the subject matter is not necessarily the same as the conventional 3D printer file sharing sites. A lot of the files you will find are not going to be suitable, but some will be and some may serve as a good starting place. We have not fully explored this angle of 3D model file resources and there is bound to be many similar sites around that, although not specifically designed for file sharing 3D printables, will have applicable files. An account is required to download files, and not all the files are free. One of our favourites, just because, again, you can find some different things and of course, like the 3D printable wrench, some of these things are getting 3D printed out on the international space station. We are looking forward to more design becoming available. 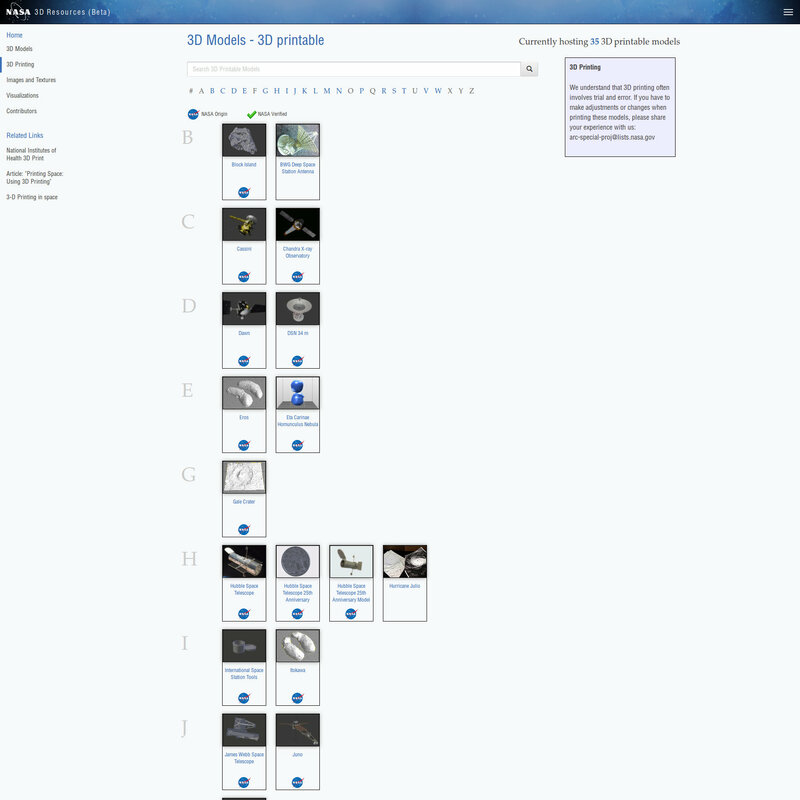 As one would expect with NASAs repository of 3D printable files they are space related, either satellites or some form of astronomical object. You don’t need to create an account you can just download them so its very easy. STL Finder is definitely worth a mention, this is an interesting resource that allows you to search across the major 3D printing file sharing sites to look for 3D printables that you may be interested in. You can create an account and search for models then save them to your favourites. You cannot download the files directly from STL Finder but have to follow the links to the file on the hosting website. Its quite a useful resource if you want to maintain a catalogue of candidate models online and the website design is simple with a Pinterest board type interface of ever scrolling models with no advertising distractions. 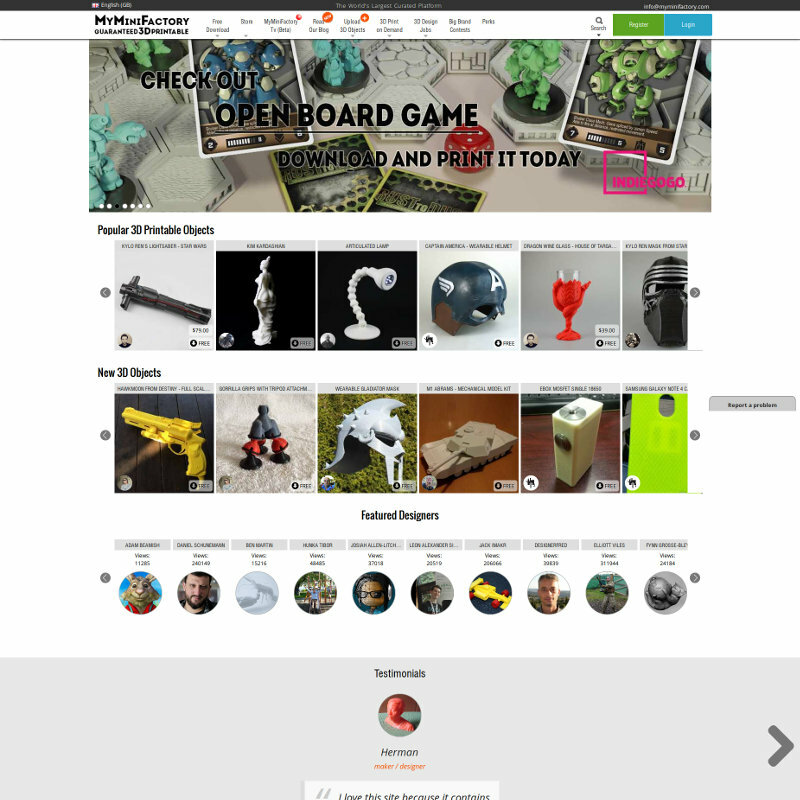 Now we have got Instructables on the list but its not really a 3D printing file sharing site. However it is a great resource for 3D printing models and also advice, generally a lot of 3D printer models may have an instructable page where you can find information out about how to make the model and there may also be a link to the file sharing repository where the .STL file can be downloaded from. 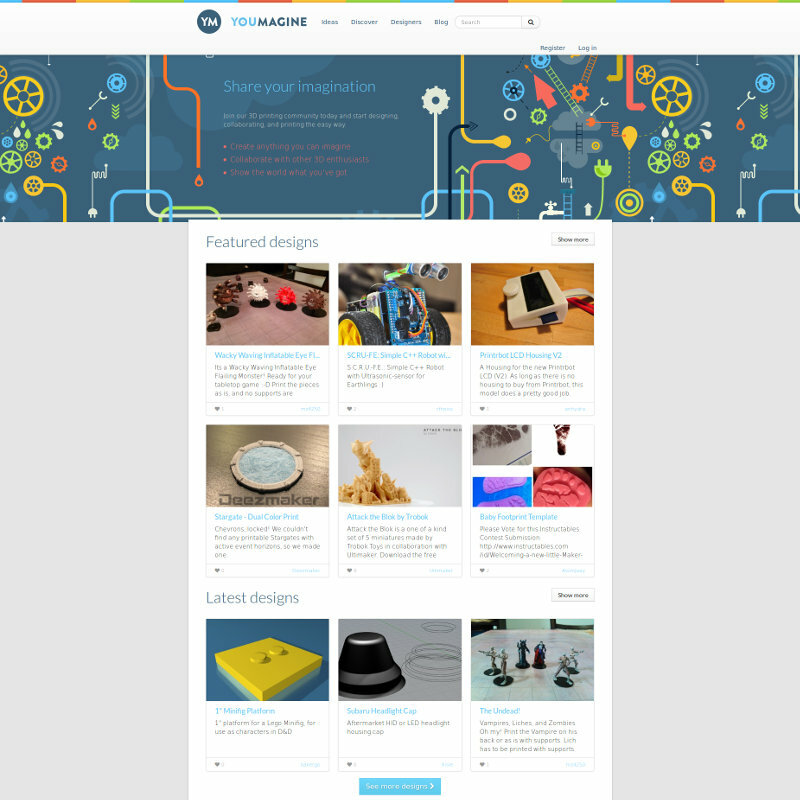 Also, Instructables is worth a mention because if your reading this you are likely to be interested in making stuff and looking through what people have made is amazing, you would not believe what people have made, its a cross between Blue Peter and the A-team. 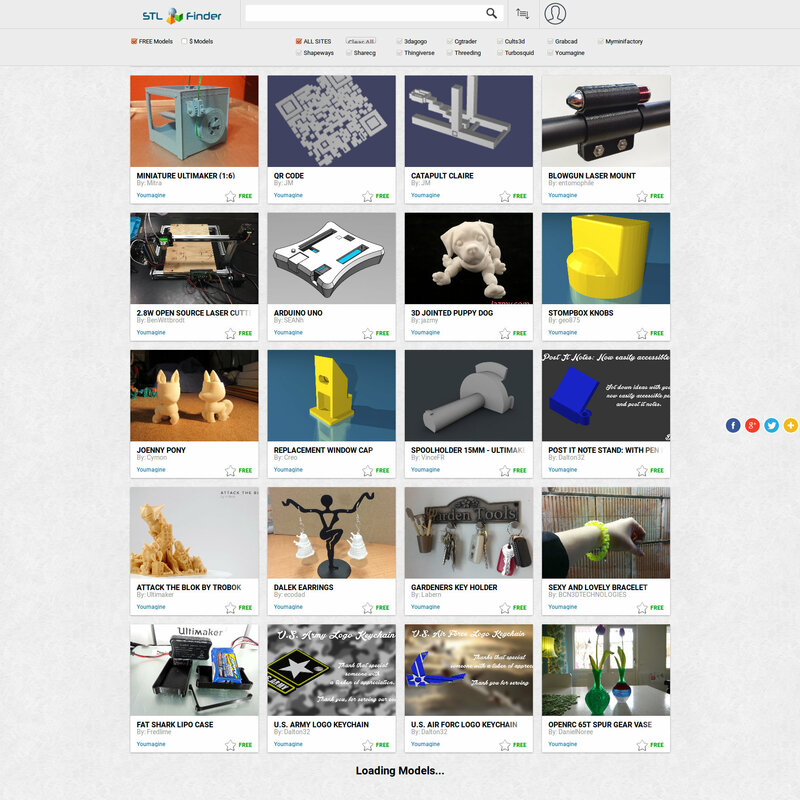 There are a lot of resources out there for 3D printable model files. In the end, when 3D printer technology becomes mainstream the 3D printer market is going to be about 3D printer filaments (for FDM printers that is) and the 3D model designs which we will need to use. Currently, whilst in its infancy and also probably because of the freeware / maker ethos that pervades 3D printing there are a lot of free resources for 3D printer files but this will undoubtedly change and there are already a number of marketplace style file sharing sites. So make hay whilst the sun shines and take advantage of all those great 3D printed designs. If you are going to start downloading files like crazy please bear in mind what you plan on doing with the files and objects you 3D print, ALL of the designs are going to be covered by some form of license, whether creative commons or not and these licenses are going to place restrictions on what you can do with the designs or 3d printed objects that you make from them. We would also like to add that it would be very good if specifications, or advice on 3D printer settings was made mandatory for downloadable files. It means that the user will know that someone has at least tried to print it. If you have any more resources that you think we should add then please email us or contact us through one of our various social connections and we will look at it.